At what point in your life did you realize you wanted to be involved in music? I knew I love music as young as 8 . Tell us about Can't Stop Music. Cant Stop Music started when I was 14 as just a record label. Now it has evolved into something much more bigger then that. We are a brand, movement, a label for the underdogs. We pride our selves on letting our artist be the best them they can be and helping them bring the vision to life. What is a songwriting session like for you? Writing a song for me has to always paint a picture. It has to tell a vivid story that one can see and image in there head without it being on a screen. When I write a song there is no just one formula to creating a memory. One song may take me thru the city, while another may place me in a dark alley. It all depends on how I feel, whats going on around me, and what the beat is saying to me. I do some of my own production as well a collaborating with other great producers. What is the Hip-Hop scene in Atlanta like these days? In my opinion it is a buffet. Music lovers are able to indulge themselves with a variety of different products. Atl allows a fan to be introduced to something other than what traditional radio will/can condition the mind to believe is only good music. What artists out now do you listen to? Ella Mai , NBA Young Boy, Money Bag Yo, Juve, Inayah Lamia. My new project I am working on is my second album, "Just Listen To Me." It is the follow up to my 2017 album, "The Appetizer." The first single off the album is Issa Vibe and Gives Hope. You can hear everything at www.mailmannmusic.com, along with the videos. The future is big and so are my dreams, so look out for definitely more music, shows, tours, acting, producing, and any other doors I can open and build. 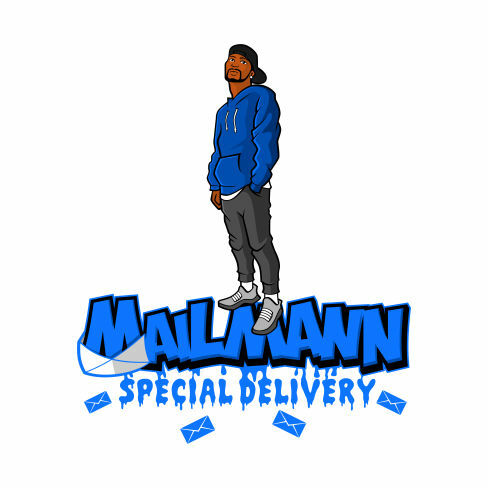 Mail Mann /Cant Stop Music!